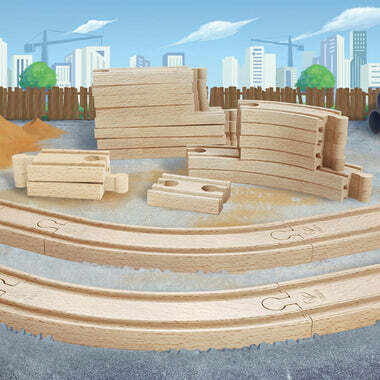 Create multi level train layouts with the construction support set. 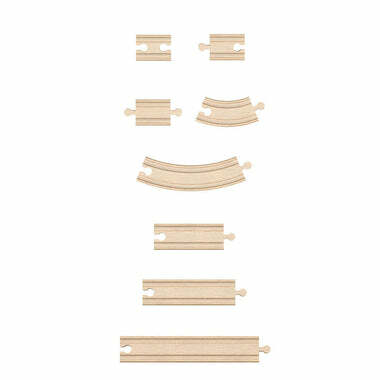 Complete with 1x Ascender, 1x Descender and track this set helps to develop more imaginative play sessions. Height: 95mm x Width: 255mm x Depth: 120. 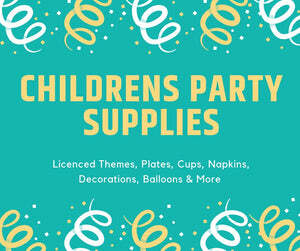 Age: 3yrs+.